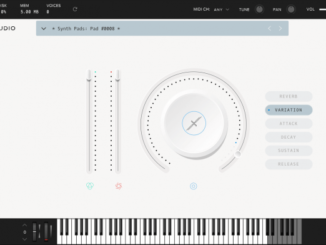 Rigid Audio, a sample library developer from Germany, announced today Hypernode “Electronic Music Arranger” for the Native Instruments Kontakt 5 Player. It comes with over 300 multi instruments covering a wide range of electronic music styles. 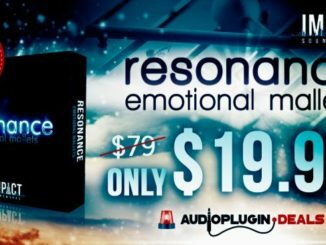 The interface is divided in fourteen individual Kontakt instruments (modules) and the complete library is pattern-based. 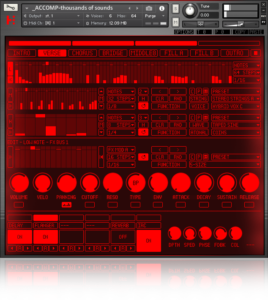 Hypernode is a fully modular electronic music arranger and a collection of over 300 KONTAKT® multi instruments, serving pretty much most of contemporary electronic music styles and genres (pop, dance, ambient, chillout, dubstep, etc). Each multi instrument is called a “style” and can be seen like a whole song complete with intro, chorus, verse and so on. You can edit any part, any section and / or sounds of each multi to your liking. You have an accompaniment section where you can play up to three-note chords, a drum section as well as additional parts like bass, pad and harmony. Hypernode ships with over 700 factory sounds (24 bit, 44 kHz), ranging from keys and guitars to synthesizer waveforms and hybrids. You can edit every aspect of the included sounds down to the smallest detail utilizing filters, envelopes, LFO’s and effects. All instruments offer flexible sequencers, automation, five freely assignable insert effect slots, convolution reverb and more. You can even modulate insert effect parameters via the included sequencers. The accompaniment module features 64 simultaneously running sequencers! Each sequencer can run on its own rate, number of steps (up to 128) and act as an one-shot phrase if required. There are eight switchable patterns – which results in a total of 512 sequencing tables for the accompaniment module alone! Hypernode by Rigid Audio will be available on February 15h, 2018 for a price of $199.99 USD. You can pre-order it now for $39.99. 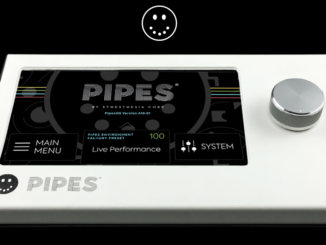 It will work with the free Kontakt 5 Player from Native Instruments.